Sara McFall grew up in Norman, Oklahoma and graduated from the University of Hawaii in 1989. She received her Juris Doctor from the University of Oklahoma College of Law in 1992. Immediately following graduation, Sara worked to gain broad legal experience from long-time practitioners in civil and criminal cases, before opening her own law firm in 1996. During the past twenty-three years, she credits her success as a respected professional in the practice of family law and criminal defense to a commitment to integrity and service to others both personally and professionally. Sara is a member of the Oklahoma Bar Association, Cleveland County Bar Association, Oklahoma County Bar Association, Oklahoma Criminal Defense Lawyers Association, National Order of Barristers and Family Law Section of Oklahoma Bar. She was an Oklahoma College of Law award recipient for Appellate Advocacy and rated in the Norman Transcript top five Best Attorneys in Norman. McFall Law Office clients are struggling with extremely difficult life circumstances when they arrive. They must know they can trust the McFall Law Office with their family and their future. The office has a unique approach to the practice of law by focusing on a holistic and multi-level approach to problem-solving. Their clients include families and children in crisis, those charged with crimes, people injured in automobile accidents, family members of elderly and the infirm seeking guardianships, and many others. The goal is to deliver quality legal services with personal attention. Commit the time and hard work necessary to achieve the best possible results. The best defense is a good offense! Educate yourself and when you are ready to choose the office who is knowledgeable, experienced and focused on you, call McFall Law Office. Devon P. Walke was born and raised in Norman. He is a product of the Norman Public School system, and knows the community well. A lifelong Sooner fan, Devon chose to stay close to home to pursue his undergraduate degree at the University of Oklahoma. He graduated in 2009 with a Bachelor's degree in Letters, and a minor in Sociology. Devon's undergraduate studies reflect his fascination with history, literature, and the intricacies of human nature. After obtaining his B.A., Devon wanted to arm himself with an education and degree that would allow him to effectively make a positive impact on society and the lives of the people around him. In pursuit of that, Devon stayed within the Sooner community and obtained his legal education at the University of Oklahoma College of Law. While in law school, Devon worked as an intern for the Oklahoma County District Attorney’s office during the summer of 2010. The following year he explored the world of personal injury law and bad faith insurance claims, working for Naifeh & Associates, P.C. from 2011-2012. He was also a member of the Oklahoma Chapter of the Ruth Bader Ginsburg Inn of Court from 2011-2012. Devon graduated with his J.D. in 2012. Following law school, he took some time to travel and explore the world with family and friends before settling back down in his hometown and gaining admission to the Oklahoma Bar in 2016. In early 2017, he worked briefly as an intern for the Oklahoma County District Attorney's office before accepting a position with the McFall Law Office in March, 2017. Devon immediately felt at home working alongside the passionate, sincere and fierce women of the McFall Law Office. The ideals of justice, integrity and compassion they espoused were exactly what Devon was looking for. Devon grew up playing sports which taught him the significance of teamwork and a competitive drive. At the McFall Law Office, he found both. His own competitive nature is an important tool that he will put to work on your behalf. He has a passion for helping those in need--a character trait that was instilled in him from a young age--and he loves an opportunity to harness that passion into obtaining positive results for men and women who are going through some of the most difficult moments of their lives. Candace Mathers is a Native Oklahoman. She joined McFall Law office in 2017, bringing with her over 30 years of legal experience in the areas of family law, transactional law, probate, estate planning, business evaluations, non-profit organizations, tax preparation, personal injury, workers’ compensation, products liability, bankruptcy, and civil rights practitioners. With extensive legal experience, Candace gained a long standing respect for diversity and integrity, and a commitment to serving others, which she puts at the forefront of her work. Currently, she uses her strong background in financial analytics and careful attention to detail to manage the highly complex family law matters within McFall Law Office. Candace's responsibilities include assisting the attorneys with client contact, document preparation, calendar upkeep, and litigation preparation; and handling research projects relating to all aspects of family and civil law. Easy personal telephone access provides you with immediate personal communication with Candace and a sense of being heard. She is dedicated to each client’s case, and is a trusted and valued asset to McFall Law Office. Victoria was born and raised in Tulsa, Oklahoma. She moved to Norman, Oklahoma in August 2008 to pursue a Psychology Degree and a minor in Philosophy. Victoria entered the legal field in May 2006 and maintained a passion for the field ever since. Upon graduation in 2012, she accepted a position with the McFall Law Office. Victoria personally assists Ms. McFall in hundreds of family law matters. Nine years’ experience in the legal field and a degree in Psychology provide her with a unique and strong sensitivity to life’s most difficult challenges faced by our clients. Prior to 2012, she worked to assist in juvenile, civil, family, criminal defense and probate law. 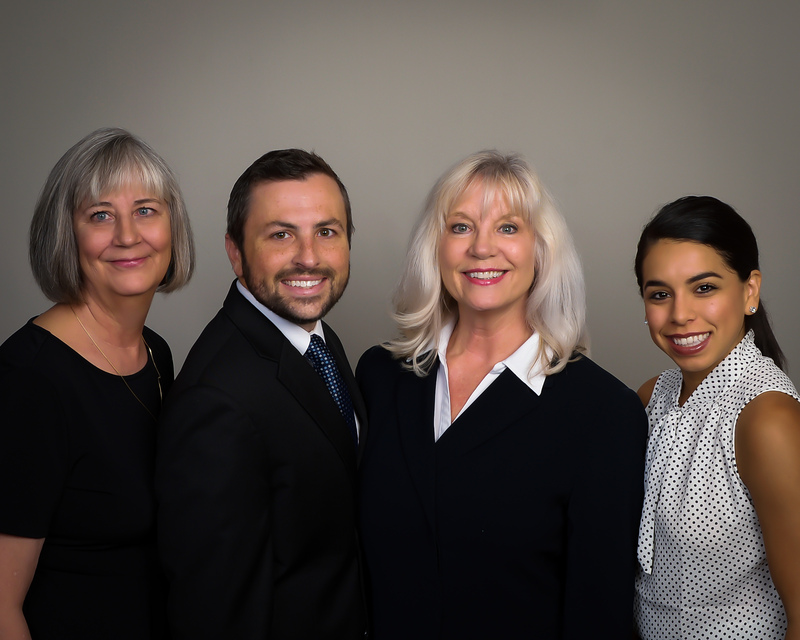 For the past three years, her focus with McFall Law Office has been exclusively on family law including divorce, custody, child support, guardianship and adoptions. Victoria has a strong skill set in computers and technology, and believes in making efficient choices to help clients financially afford legal services. She believes in the importance of attention to detail and promises to pay close attention to your needs. Easy personal telephone access provides you with immediate personal communication and a sense of being heard. No need to worry about not hearing from your attorney’s office for days, sometimes weeks, when you hire McFall Law Office. Victoria believes communication is an essential element of her position in the McFall Law Office, therefore, she is always available to answer client calls, texts or emails at any given time of the day. Victoria makes it her duty to get you an answer to your question(s) in a timely manner. Victoria is currently pursuing additional education, a Juris Doctorate from Oklahoma City University School of Law, and a Masters in Business Administration from Oklahoma City University Meinders School of Business.